If you've got a pest control problem, Black Hills has a solution for you. 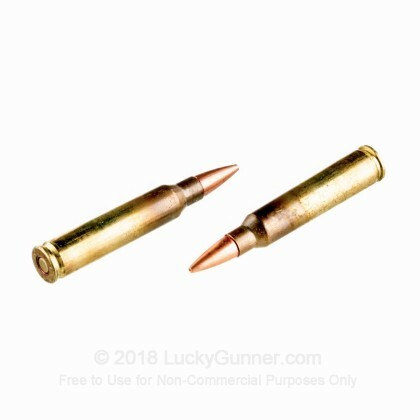 Use your AR-15 with these 5.56 NATO cartridges against coyotes, groundhogs, squirrels, and any other small to midsize varmints that cross your path. 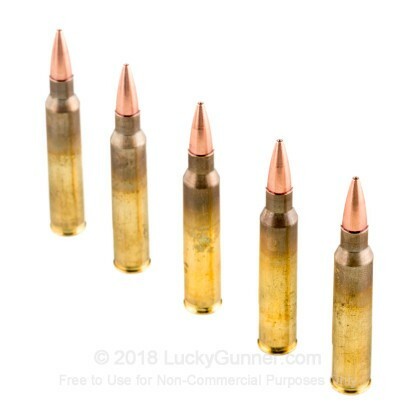 These rounds feature the Barnes TSX hollow point bullet, a solid copper design that delivers deadly four-petal expansion. High volume hunters will appreciate the TSX's grooved design, which absorbs expanding material and helps reduce the fouling often associated with more primitive copper bullets. 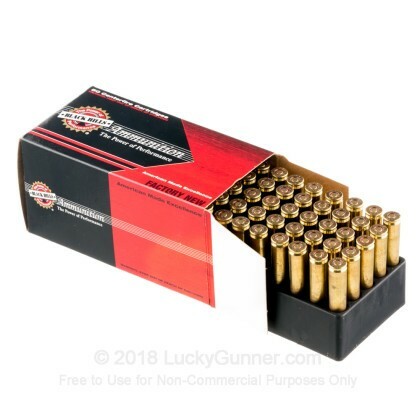 Each cartridge in this box of 50 fires a heavy 62 grain projectile at a muzzle velocity of 3,000 feet per second. This results in trajectories similar to those of M855 ball ammunition, making it a breeze to sight in your optics once for both the range and the field. 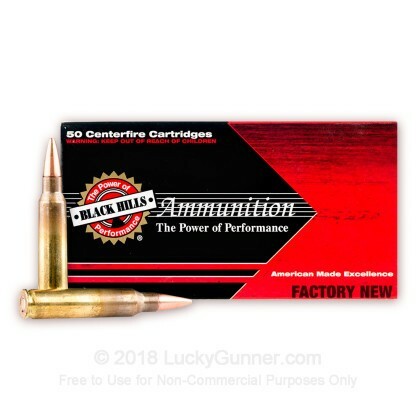 Black Hills ammunition is loaded in Rapid City, South Dakota using non-corrosive Boxer primers and reloadable brass cases; Barnes bullets are made in Mona, Utah. No shipping issues and the rounds were as advertised. The primers are crimped and sealed, the case mouths are sealed also. The brass is annealed and has a NATO cross stamp, appears to be Winchester brass from 2013. 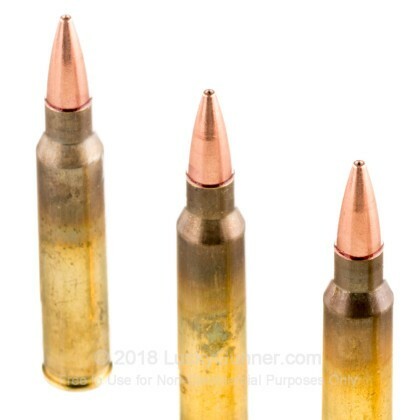 Out of 250 rounds 2 had cosmetic blemishes, one had a dented case and the other was tarnished with black stuff. Until us civvies can purchase the new M855A1 these are perfect for barrier blind/home defense use. 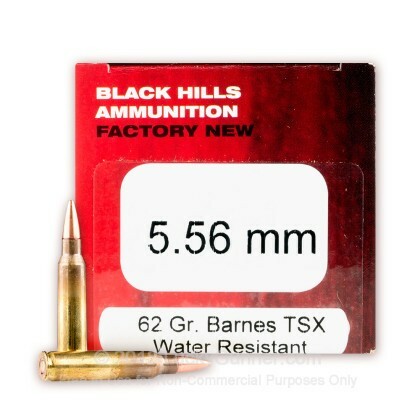 And because they are 62gr you can train with M855 and have little Point-of-Impact shift. I highly recommend them.